Still nifty at fifty. 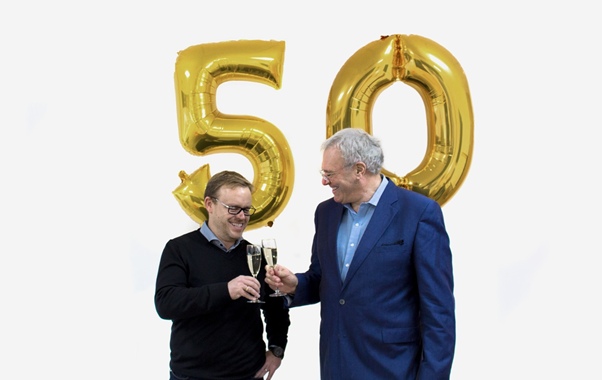 Precision Printing are celebrating their 50th birthday as a successful business. 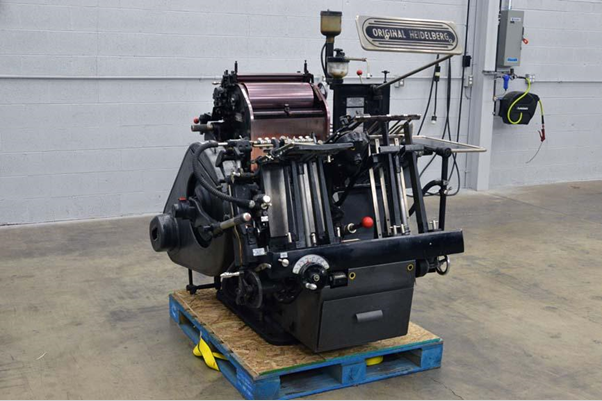 That’s right, we’ve been proudly serving the print industry since 1966. 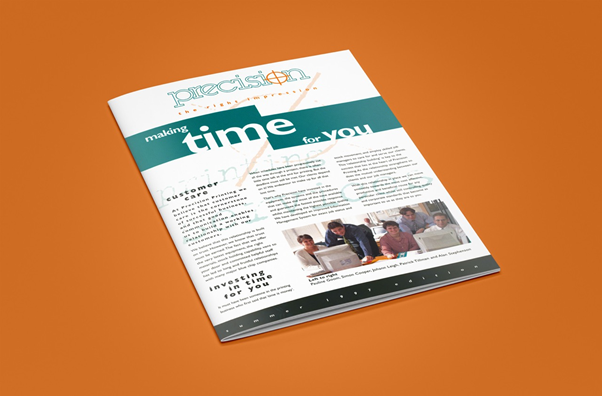 Precision Printing is a family business founded by Clive Cooper back in the 60s in Central Street, London. At the age of just 20, Clive dreamed of starting a print shop and, in 1966 when he had an opportunity to acquire and re-brand an existing printers, he did just that! Precision Printing was born and thus our legacy began. A key figure in the company’s success has been Clive’s stepson, CEO Gary Peeling’s willingness to evolve and adapt to every technological change and demand that has come along. The other reason is that we put the customer and their best interests first, so their problems become our opportunities. We have worked hard to build a customer-focused business that provides quality printing with staying power, hence why we are still here today. As trends have evolved over the years, we aim to keep our products and services as up-to-date as possible. 1966 was the era of the letterpress, letters and short runs. The 70s and 80s were for producing general business stationery, stitched books, long runs and GTOs, rather than the more elaborate products of today like lay flat books. Stationery was produced in mass and often stored in stock. “Now the printing business is digitally-driven and, when once we had a typesetter or compositor, we now have a software development department and the business is entirely run from a digital front-end, so it’s been a huge transition. Technologies have changed and evolved over the years. With the help of short run digital press long runs are no longer required as print on demand is more economical all round. Business cards were generally artworked proofed, proofed again and finally sent to print with a window of normally two weeks to turn around. Today these are turned around same day with the customer more often than not placing their own order online, so no artworker at all is involved. The past ten years have witnessed Precision expand their services to become more of a creative print agency, often called into an agency prior to projects and concepts even being drafted out. Agencies are keen to have our input so we can advise how to get the best results using some of the latest technologies we have (Scodix and Motion Cutter). Technologies aren’t the only thing to change over the years, graphic design has evolved enormously. Thanks to the ever-rapidly developing technology used to create printed products, we’re seeing designers push themselves — as well as the boundaries. With new developments in the latest design software and advances in printing, designers can really get creative and design almost without limitation! Designers are utilising technological advancements to tell a story through their design. Graphic design is heavily influenced by technological innovation and invention and this will never change. Is print dead? The simple answer is no. The industry is alive and kicking and, with a gross turnover of £13.5 billion in the UK alone, these figures are surely telling us something. There might have been some challenges to face with financial and competitive pressures over these 50 years, but Precision has remained true to its roots, and our customers – like American Express, Dewynters and many more – who have rewarded us with their continued loyalty. A loyal client of ours, needing no introduction, is American Express. We were delighted when the world’s largest card provider turned to physical printed media and Precision to make a big impression on small businesses in the high street. As engagement soared, the results were startling, so much so, that we have run the campaign for the last four years. We were excited when a theatre agency was keen to publicise a forthcoming theatre production in an unusual way. There are now so many shows that people can go to, so the agency wanted to market the play to group ticket sales agencies in a way that would really stand out. They settled on the idea of a golden ticket campaign, just like the golden tickets in Roald Dahl’s Charlie and the Chocolate Factory. This campaign had everyone buzzing about it – even the customers. The theatre was very impressed by it and it certainly caught the attention of other agencies! This opportunity gave print marketing the recognition it deserves. The campaign was very successful for the theatre agency. Suddenly, everyone was talking about print marketing rather than digital marketing. They were also talking about a print job that had a much higher cost and profit level than a standard campaign. In the highly competitive market, as a company we need to constantly evolve and move forward with new goals. No company can afford to stand still in the print industry. Precision’s drive with Where the Trade Buys, our online print solution for trade printers keeps us in the running. Where the Trade Buys is our fastest-growing revenue stream, growing by 80% in 2016. As of July 2016, Precision plan relocate our East London operations from its current 3,300sqm Barking site to larger 5,110sqm premises three miles down the road. The relocation will make room for a new packing and mailing service and a whole new level of technology. Despite all the everchanging market filled with new trends, technologies etc, Precision will never forget our roots nor overlook what has been the key to our continued success – our staff, customers and continued commitment to delivering exceptional customer service and quality products. Our customers and our commitment to the highest standards of quality and aftercare remain our number one priority. 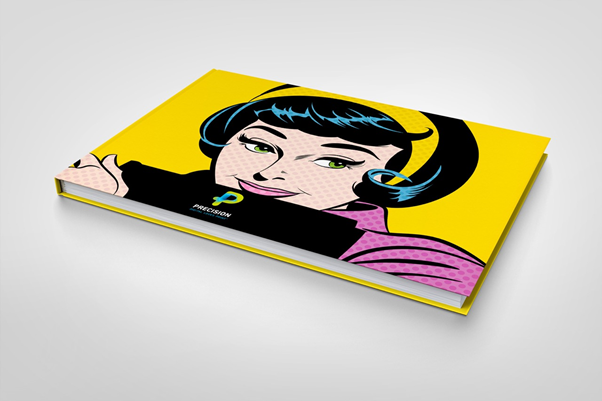 We remain passionate about providing print solutions that work for our customers. next articlePensions: Are They Changing and What Are The Options?